The other day, JAPAN Style posted a report of “Wonder Festival 2010”, which held in Makuhari, [W:Chiba Prefecture]. 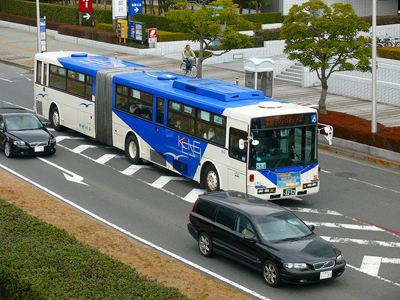 In this town, some unique buses are running. Let me share the pictures of the busses from another blog. It’s called “coupling bus on a regular route”. 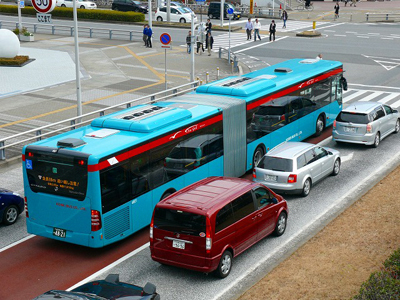 18 meters long huge bus is longer than three regular cars. Lately, new thinner version one appeared in the town. It’s also 18 meters long but the height is lower than the old one. When it goes on a curvy road, the body bends like caterpillar lol. Driving these must be hard. The drivers might need high skill. 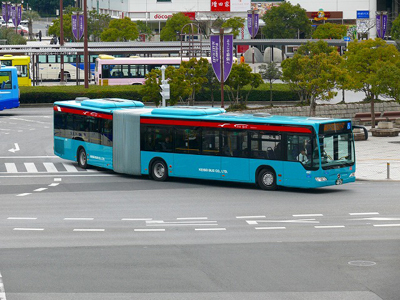 If you have unique bus in your country, please share with me! I see. Those buses aren’t so rare in the world, huh? I just wrote about it because they are very rare in Japan. It’s interesting to see the difference between the world and Japan. Thank you. If you notice or find something in JAPAN Style, please tell me again. 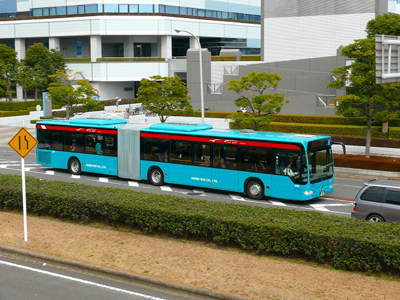 Well, those are new and rare; most of the buses are still old style like the ones in NYC and Chiba. Yeah, these sort of buses are pretty common in large US cities. 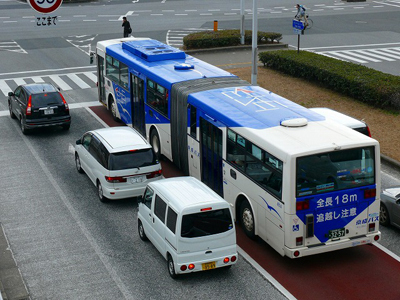 I’m sure the reason they’re rare in Japan has to do with the narrow, bendy roads in most major urban areas. Yeah, I agree. There are many narrow and bendy roads in Japan. I miss those narrow and bendy roads between rice paddies though.